We had a birthday in the house last week. A certain young boy turned three. As he attended preschool on his birthday, he needed a cake to take to preschool. I had a wee think about it and decided that when it comes to cakes, kids tend to eat the icing and leave the cake. If I was going to go to the effort of baking something, I wanted it to be something that they would eat and enjoy. I decided that gingerbread generally goes down well with kids! So I decided to make a gingerbread house. 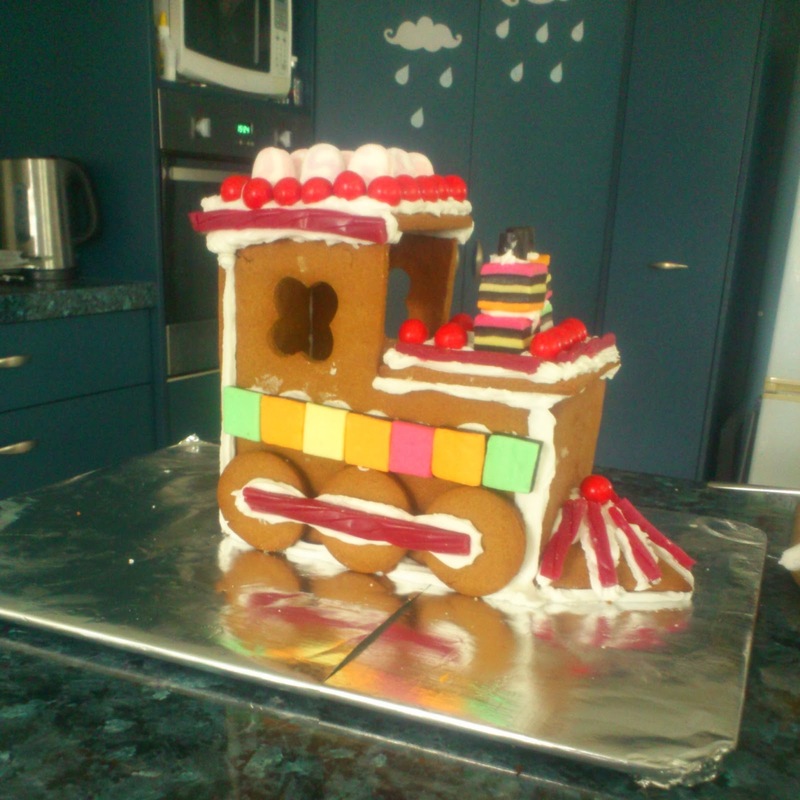 Then I had a rethink and decided to make a gingerbread train. 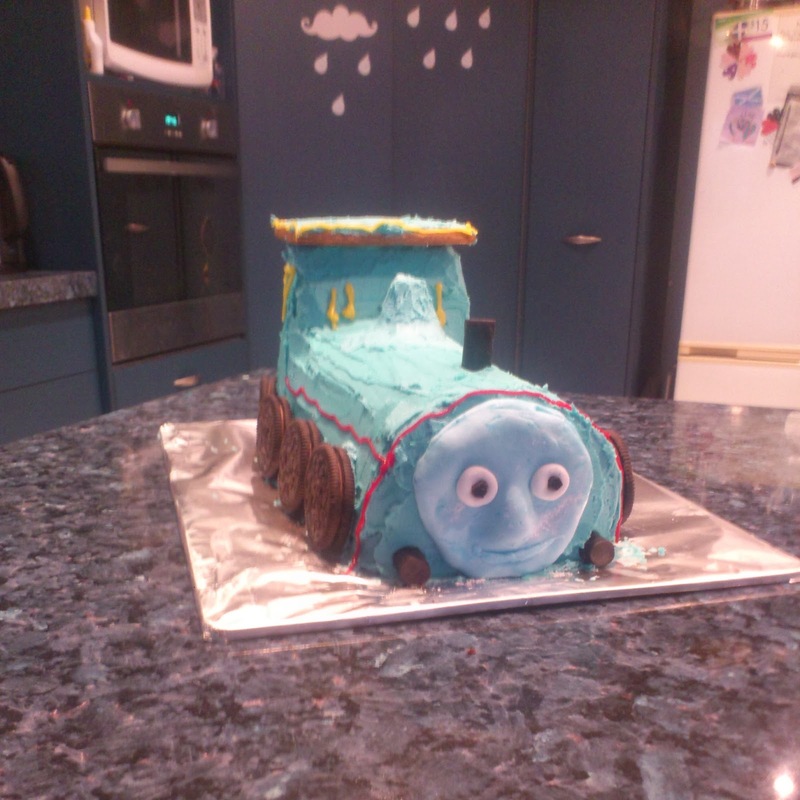 For home I quickly made up a Thomas the tank engine cake. 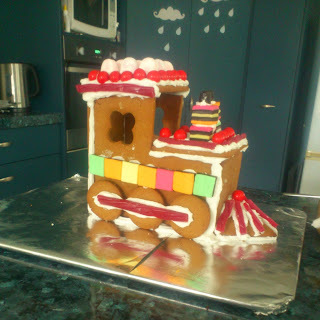 I will freely admit that there are far better Thomas cakes on the internet, but I am pretty proud that I managed this with the rather limited time and resources that I had available. My wee man loved them both- mission accomplished! Well done Juliet! The cakes look great and I bet the kids enjoyed them too! 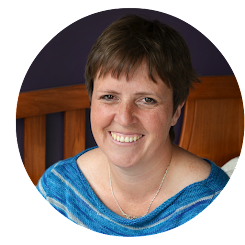 Merry Christmas to you and your family - I bet there is great excitement in your house at the moment!